The Nurbürgring Nordschleife is one of the most famous (and infamous) race circuits the world has ever seen. 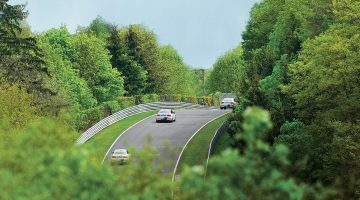 Surrounding the quaint village of Nurburg in Northwest Germany, and surrounded by the picturesque Eifel mountains, the Nordschleife is nicknamed ‘The Green Hell’ because of its treacherous and often deadly reputation. It’s a fiercely undulating 20.8km lap through dense pine forests, with nearly 300m of elevation change. Being quick around there involves negotiating countless blind corners at heart stopping speeds, often getting airborne in sixth gear. There is hardly any room for error due to the extreme proximity of the barriers, a violent accident of extreme proportions your reward for getting it wrong. 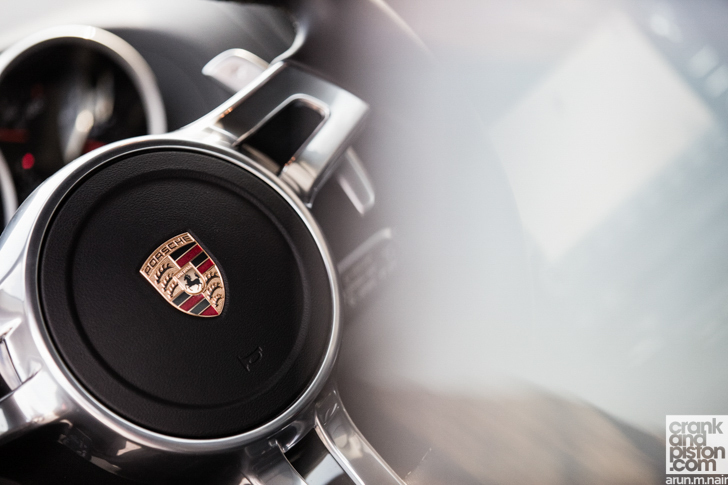 This notoriety has turned it into a favourite proving ground for the world’s car manufacturers, and in many people’s eyes the Nurbürgring lap time has become a key measure by which the fastest performance cars on the planet are judged. Unless you’ve spent the last few years locked in an underground bunker in Siberia, you would have witnessed the fanfare and grandstanding that accompanied the announcement of every new category record. Fastest sports car, saloon, hot hatch, fwd, 4wd, the list goes on and on. The Ring is most certainly a stern test of both man and machine, but you have to wonder if the industry has now totally lost the plot with the latest battle for supremacy, the fastest lap by an SUV. 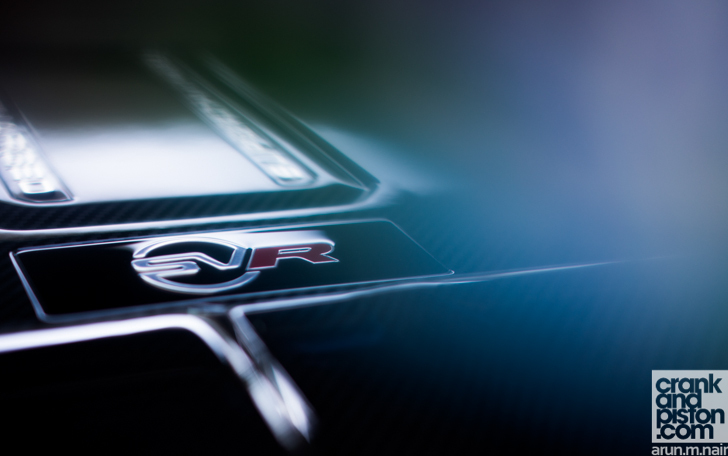 That was the headline that announced the arrival of the new Range Rover SVR. The first product from Jaguar Land Rover’s new Special Vehicle Operations team, the SVR is undoubtedly a special bit of kit, and setting a lap time of 8min 14sec is an astounding achievement for a two-tonne behemoth that can still go off-road. To put things into perspective that’s just a second slower than a Ferrari 355, and is a couple of seconds quicker than the Honda NSX managed. Some serious engineering has gone into the hottest Range Rover lapping in the same region as two of the best supercars from the nineties and shows you just how far automotive technology has come in the last twenty years. The question though, is whether anyone should really care what an SUVs lap time is around the world’s scariest race track, and to my mind the answer is a resounding no. It’s fine if the headline grabbing times are used purely as a marketing tool, but if manufacturers start tuning their cars with the Nurbürgring in mind then that is more problematic. We will end up with a bunch of fast but compromised SUVs, which defeats the whole point of a genre invented with practicality in mind. 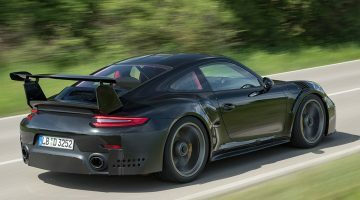 Unfortunately things seem to be heading in that direction, as the SVR’s lap time has already been eclipsed by the Porsche Cayenne Turbo S, and somehow I can’t imagine that’s the last we’ve heard of the battle for the ridiculous title of fastest SUV at the Nurbürgring. It makes you wonder what’s next: Fastest lap by a school bus? Quickest camper van? I bet there’s someone somewhere working on both of those as we speak. OPINION. The end of the power wars?